This unique publication is both educational and activity book together for the 9+ age group. 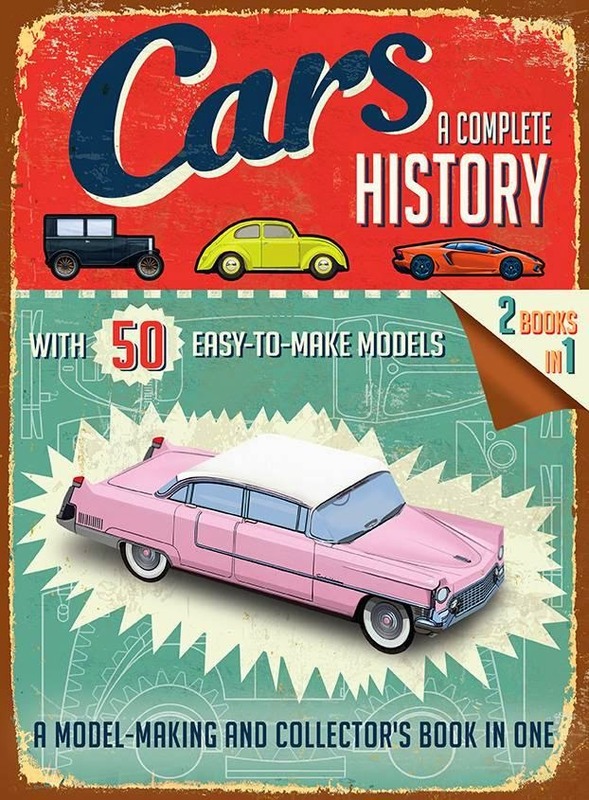 With 50 easy-to-make models of cars, this is a model-making and collector’s book in one. It includes production details, and presents basic techniques and instructions on pressing out and folding these iconic car models. As the parts come numbered, at the end of the book, there is a break-down on how to match and stick the pieces correctly by following their correct numerical order. It lists every model’s features: engine size, top speed, acceleration and power. After the models have been removed, a brilliant reference book remains. Cars: A Complete History will appeal to curious minds, children that love to cut, stick and paste, anyone of any age that loves cars and their history, and wants to know all about each model. Produced with a thick paper almost like cardboard, these models will be treasured 3D samples of car history.